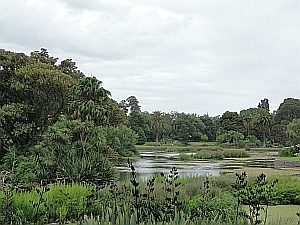 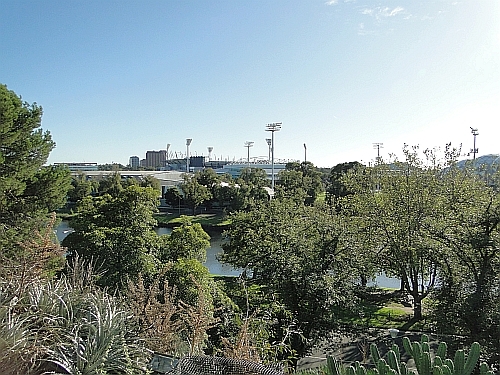 The Royal Botanic Gardens Melbourne were pure magic! 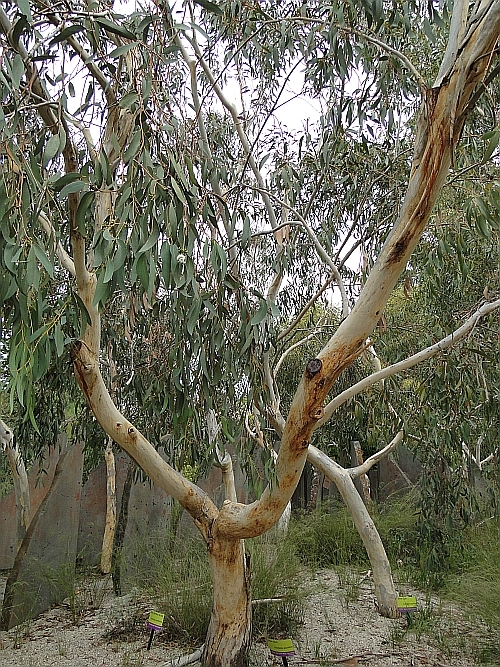 Such beautiful surroundings with a huge variety of trees meant that my Saturday tree walk in the middle of March 2016 fired me up enough for another visit on Sunday. 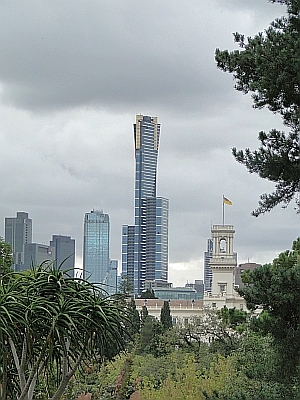 What with exploring Melbourne, sampling restaurants, enjoying a concert and time with friends, it was an extremely busy but very memorable visit to this fascinating city. 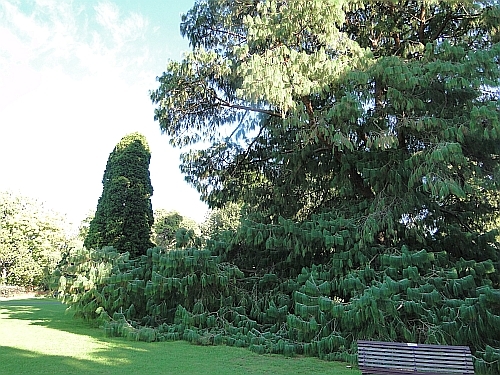 As with many of my walks where time is of the essence, these walks were more of a run! 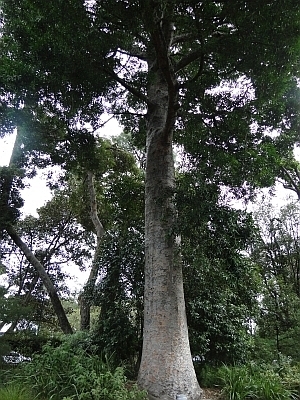 Thanks must go to my guide, Shane, who knows the park well and kept us going at a good pace so that I could take in as much as possible. 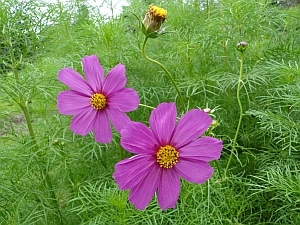 I'm going to combine the best of both days in the photos below! 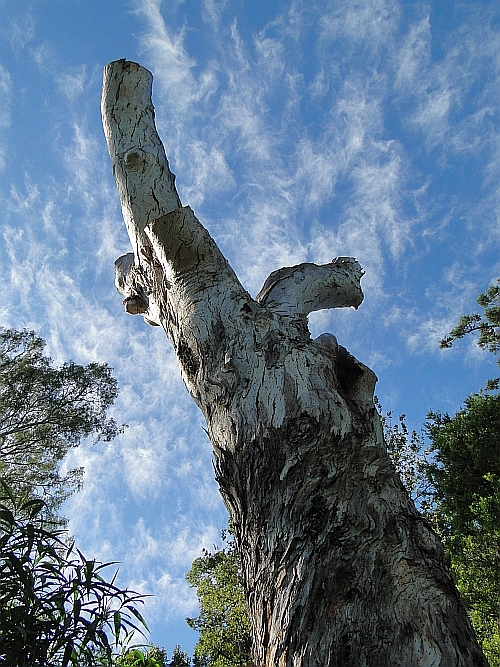 The cloudier pics were taken on the Saturday; I had wonderful sun on Sunday! 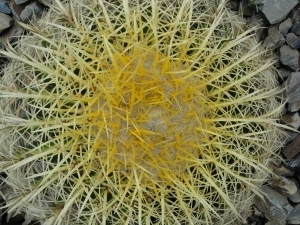 Both types of weather presented me with some photographic challenges and taught me a lot (in hindsight!) 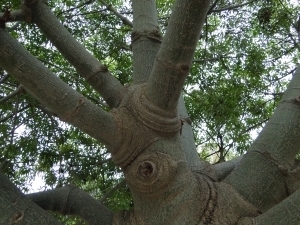 about how to take tree pictures. 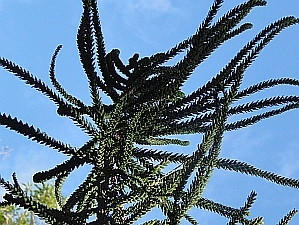 Still, you could say I had the best of both worlds weather-wise. 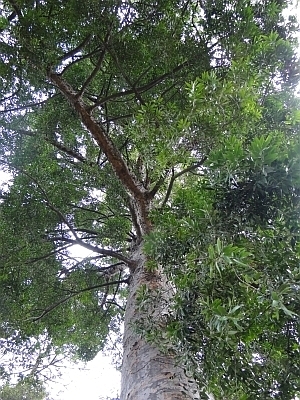 International trees! 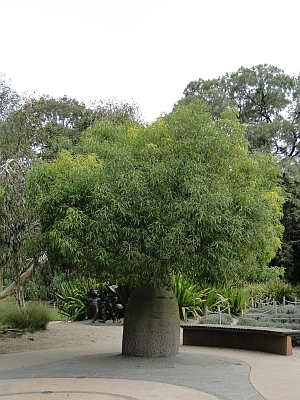 Including some Australian trees which are also found elsewhere. 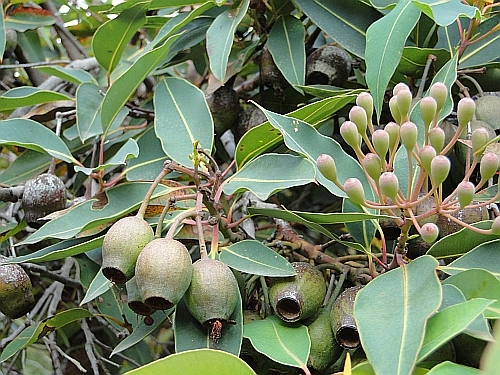 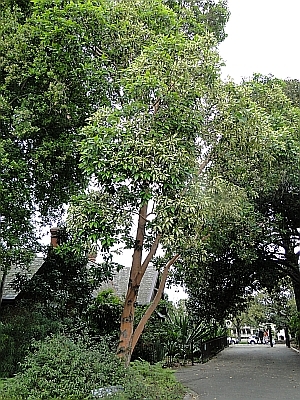 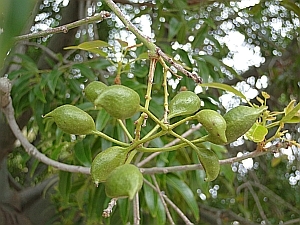 Syzygium luehmannii is the small-leaved water gum, or riberry - or the small-leaved lilly pilly! 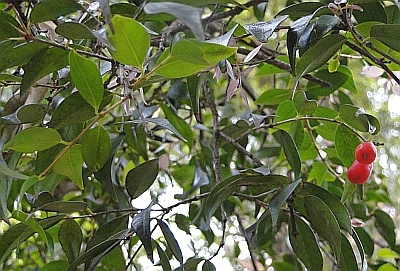 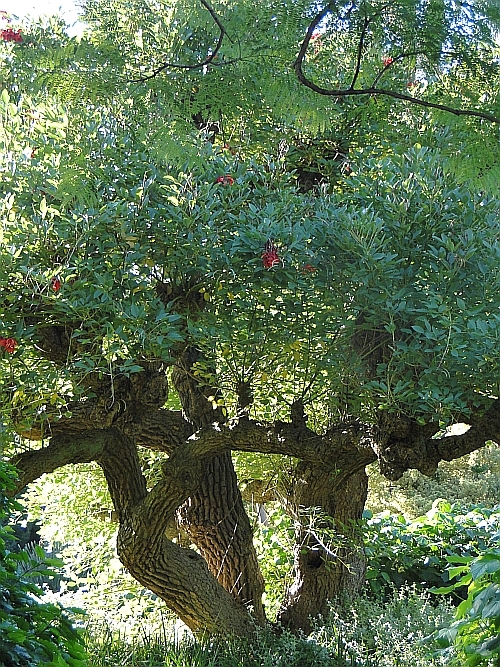 Myrsine howittiana, the brush muttonwood, has a rather fascinating trunk. 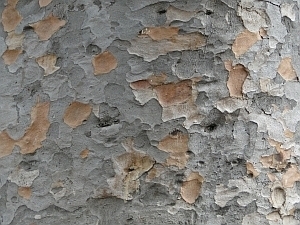 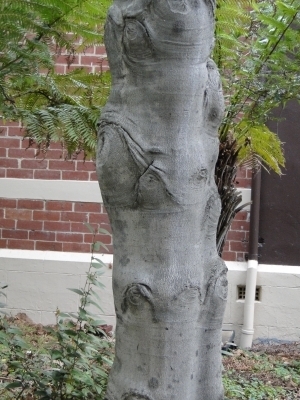 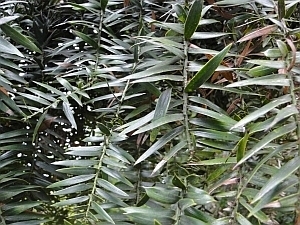 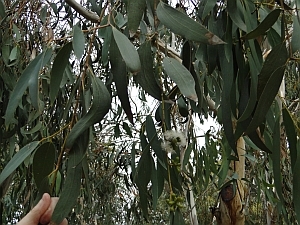 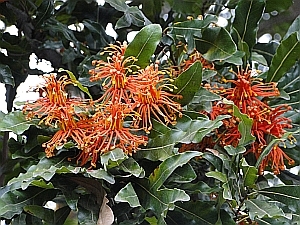 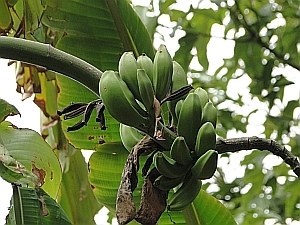 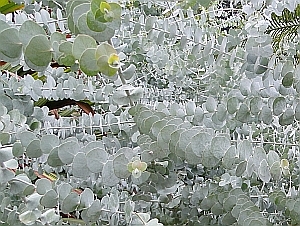 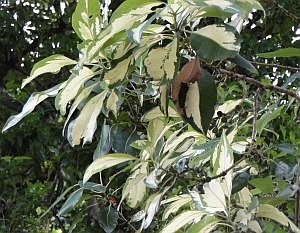 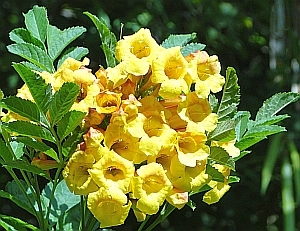 Native to Victoria, New South Wales and Queensland. 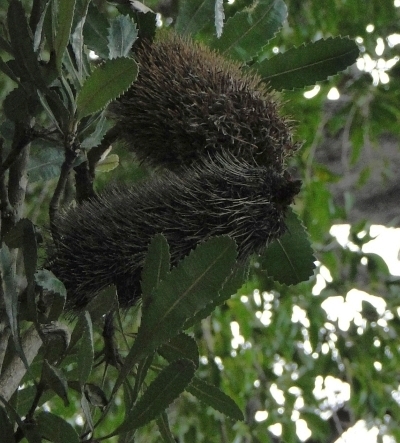 Banksia serrata, saw banksia or old man banksia is one of the most interesting Australian trees! 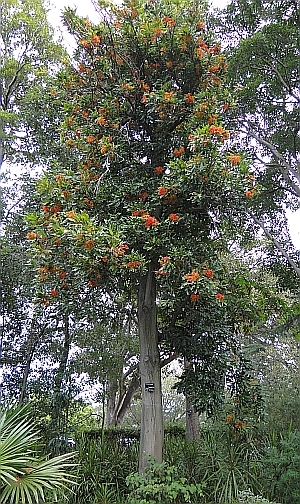 Since my return from Australia I have become very interested in the family of trees called Araucariaceae. 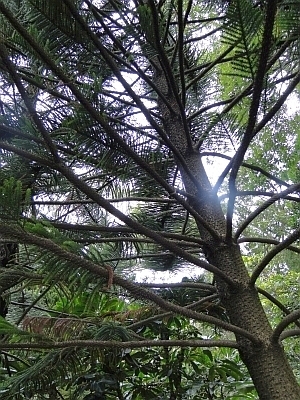 And now I'm kicking myself that I didn't take more photos of these trees at Melbourne Botanic Gardens. 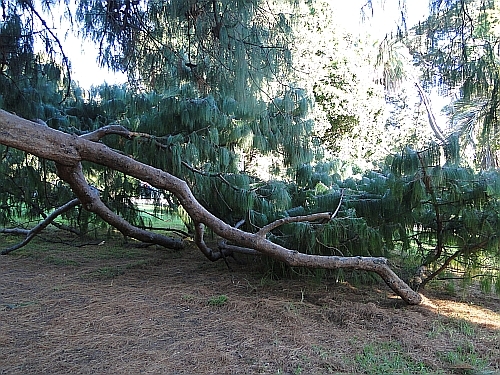 I'll just have to go back and try again! 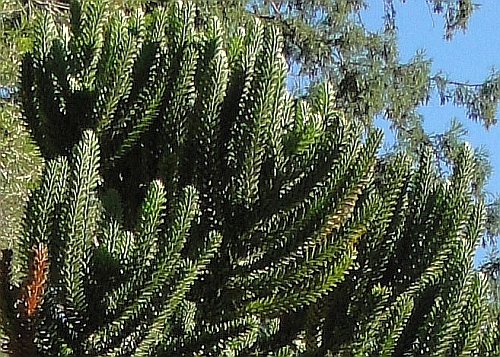 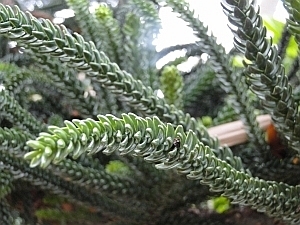 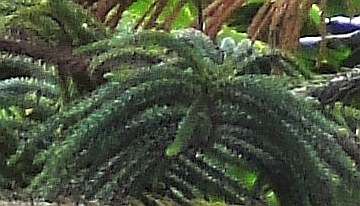 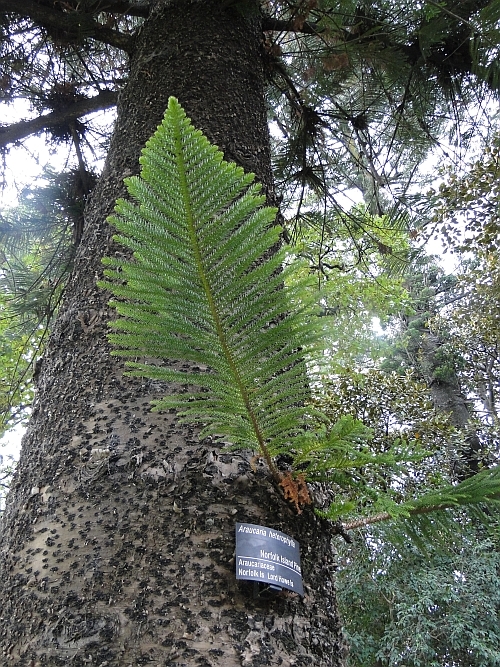 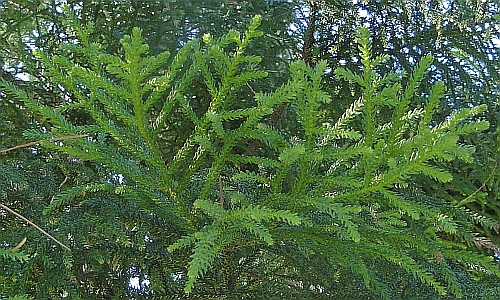 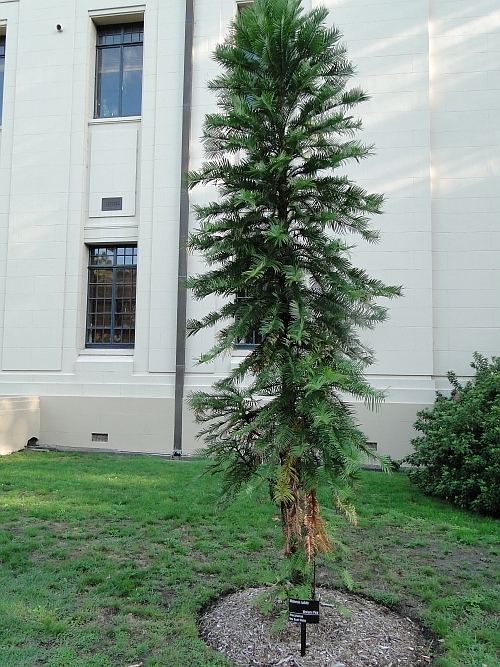 Araucariaceae include the Norfolk Island pine and the famous Wollemi pine. 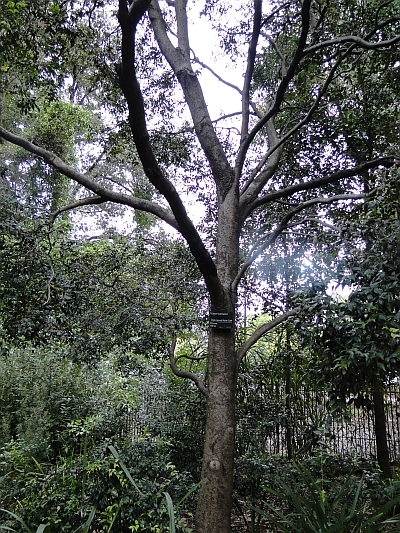 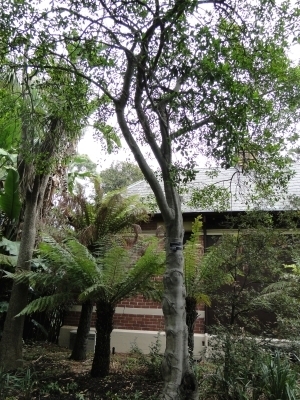 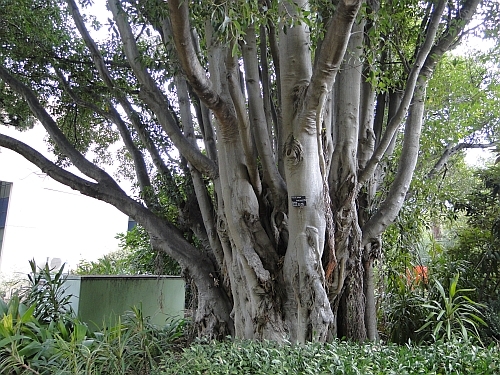 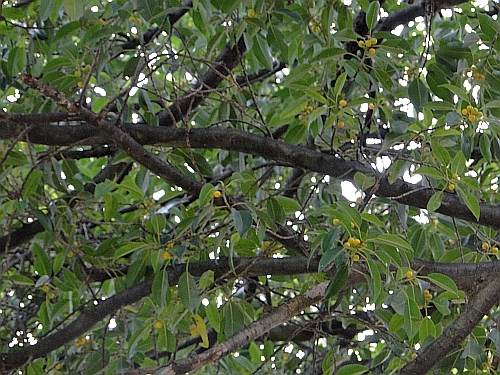 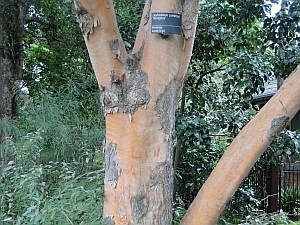 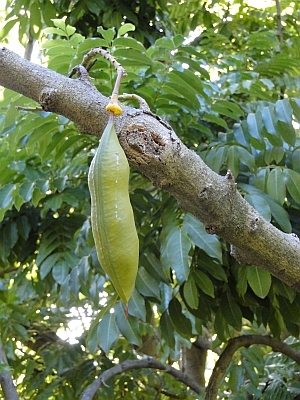 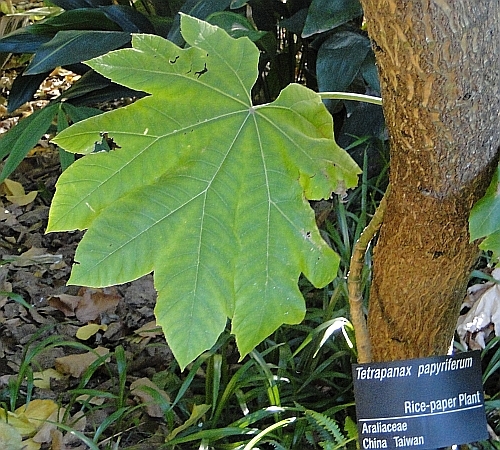 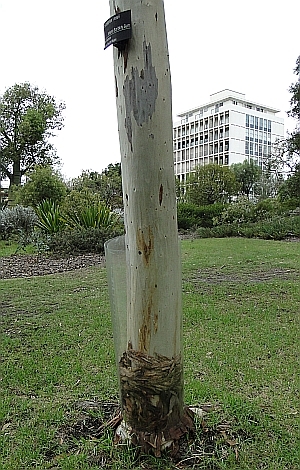 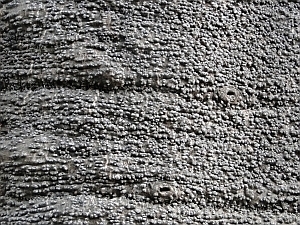 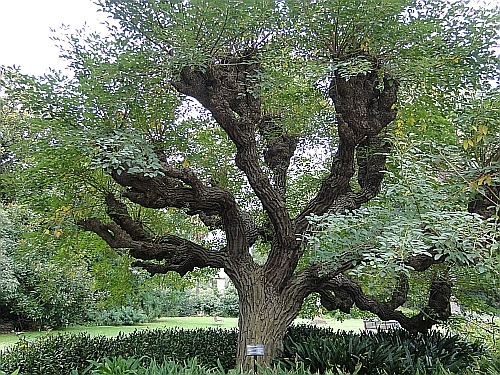 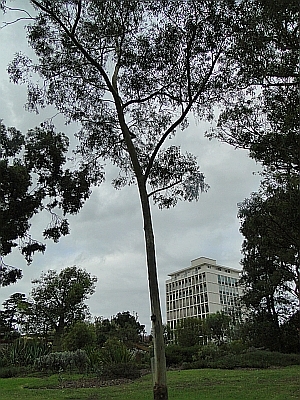 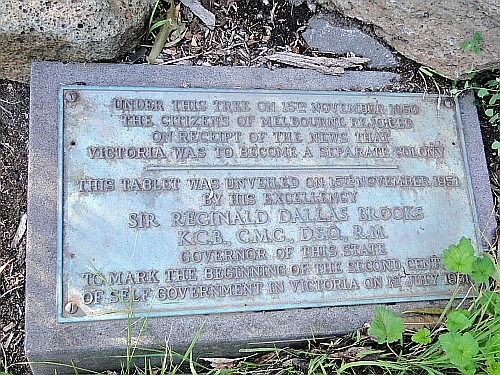 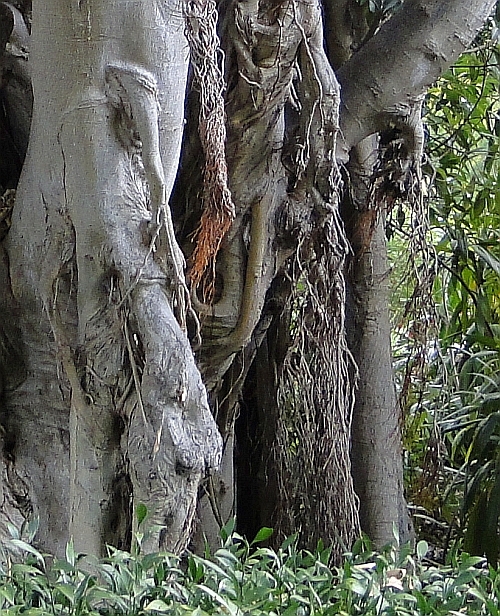 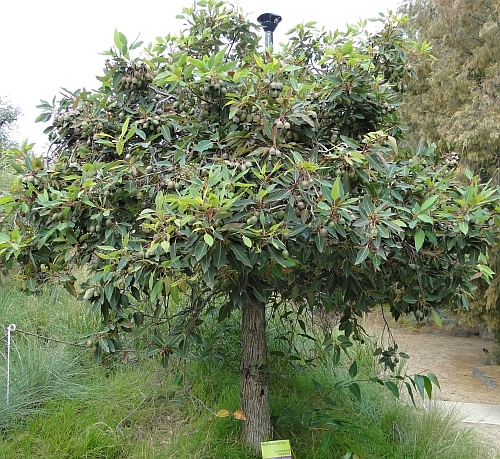 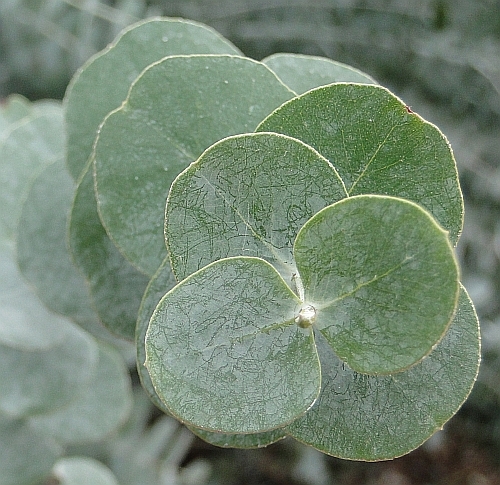 You can find out a little more info and some of the history of this tree family on the Araucariaceae page of the Royal Botanic Gardens in Melbourne. 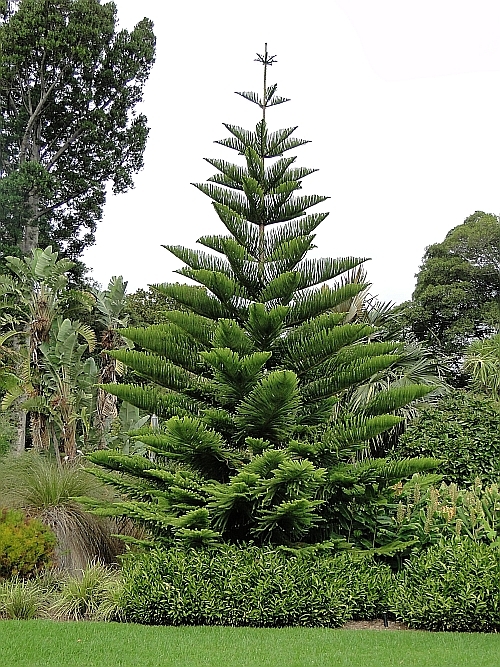 Although I missed a couple of species, let's take a look at the ones I was lucky enough to observe, starting with a favourite tree of mine and always a pleasure to see - Araucaria heterophylla, the Norfolk Island pine. 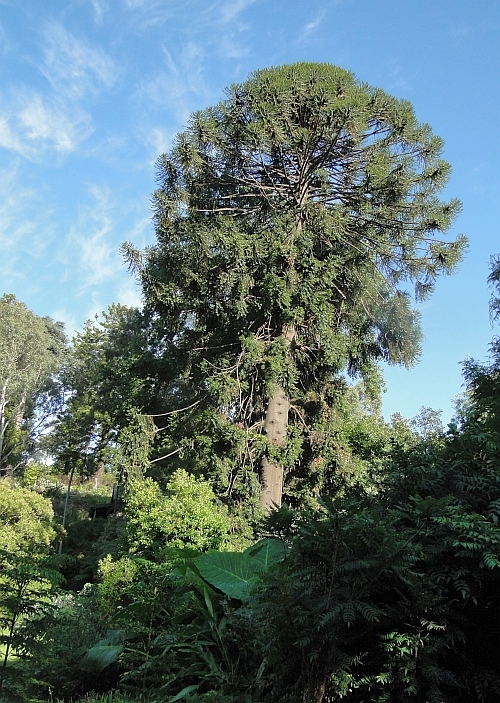 ... and an older, giant version! 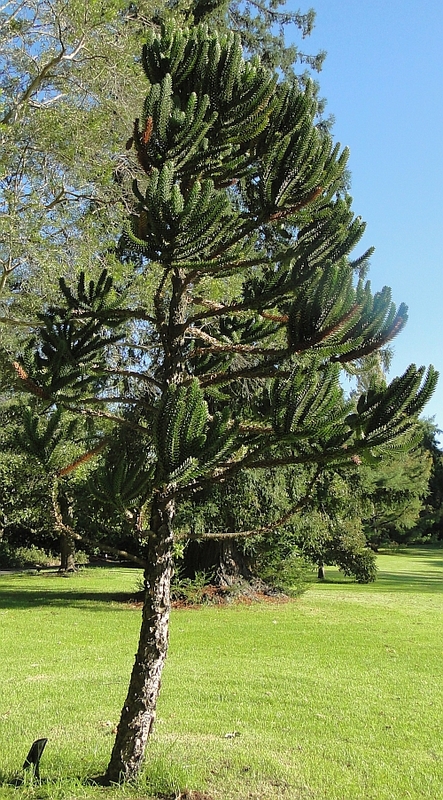 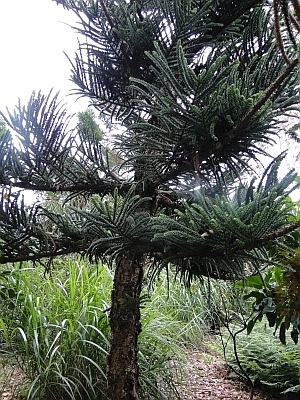 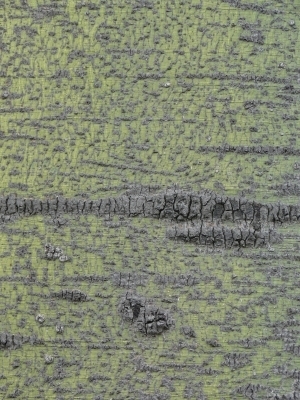 Araucaria montana is the mountain araucaria and is native to New Caledonia. 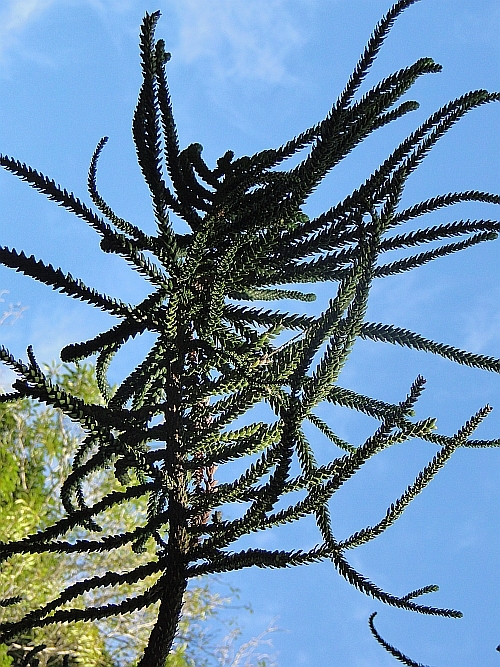 I love the shape of this particular specimen as it looks as though it's pretending to play a thousand violins at once! 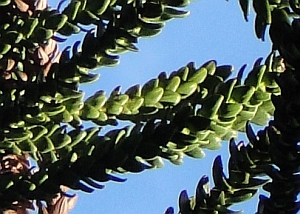 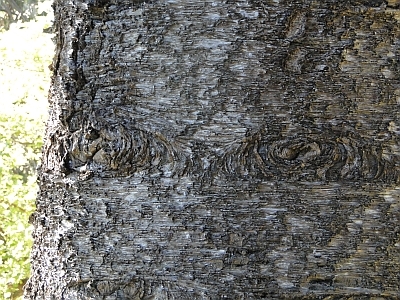 Our next tree has a very distinctive semi-circular crown even from a distance! 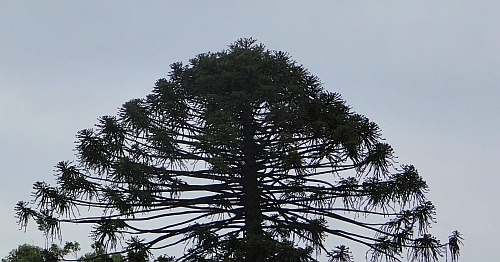 It's Araucaria bidwillii, the bunya pine or bunya bunya as I have heard it called, an Australian tree from Queensland. 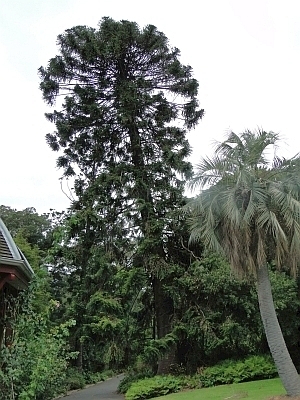 Araucaria laubenfelsii - De Laubenfels' araucaria - New Caledonia, "listed on the National Trust register of significant trees of Victoria"
But it also has a huge trunk! 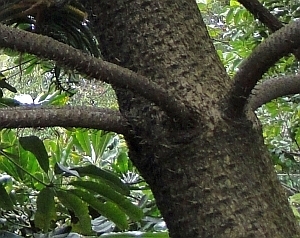 This small-leaved fig has a buttressed trunk; side roots grow out from the trunk to help buttress or support the tree as well as nourish it. 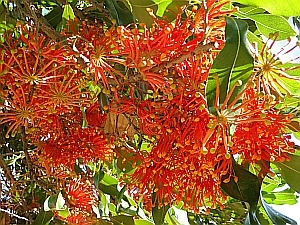 The tree is native to New South Wales, Queensland, Western Australia, Papua New Guinea, Indonesia and the south-west Pacific! 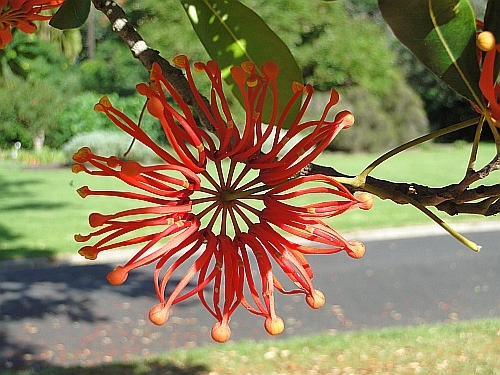 Stenocarpus sinuatus: the firewheel tree and as impressive as its name impies! 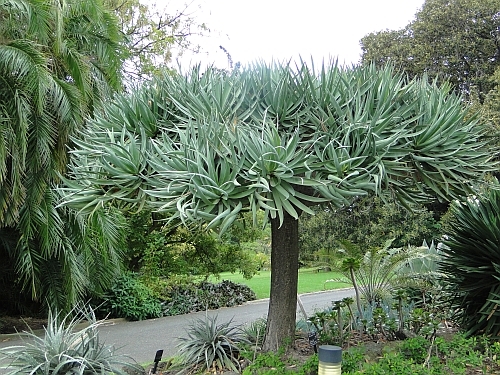 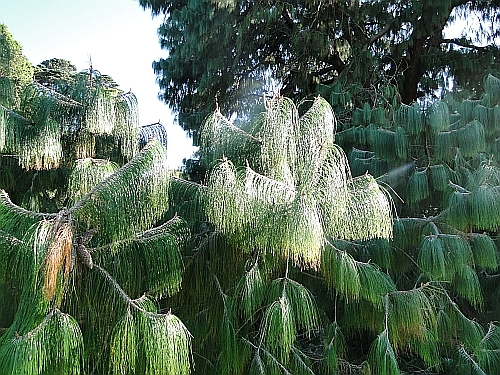 Pinus patula - the Mexican weeping pine - "planted by Her Imperial Majesty the Shahbanou of Iran 24th September 1974"
Just for fun: some of my other pics from Melbourne's Royal Botanic Gardens, including mystery plants and flowers and wonderful views!